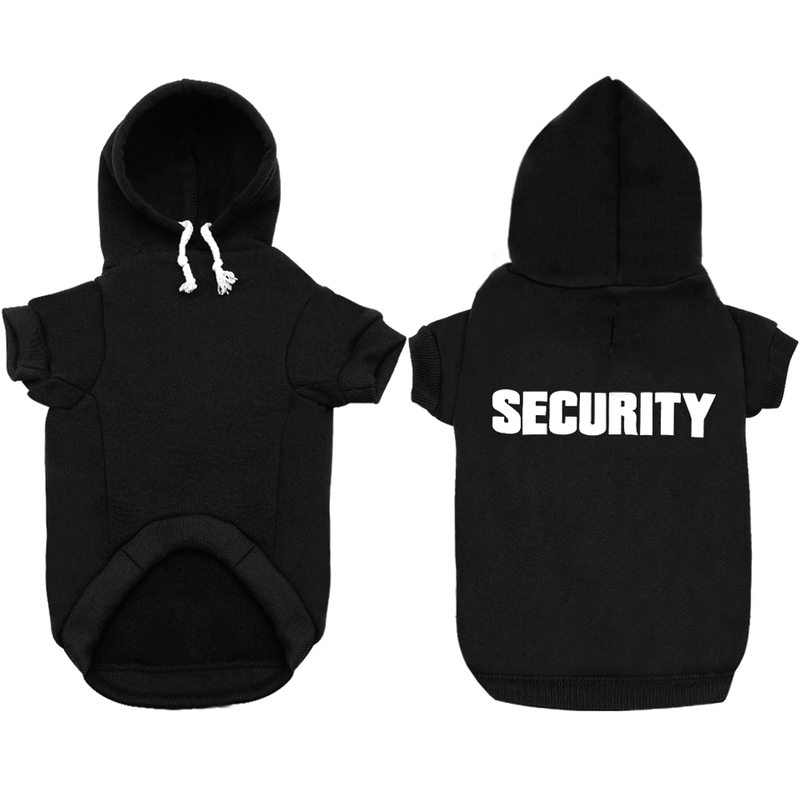 Let your dog take the lead with this Security Dog Hoodie. 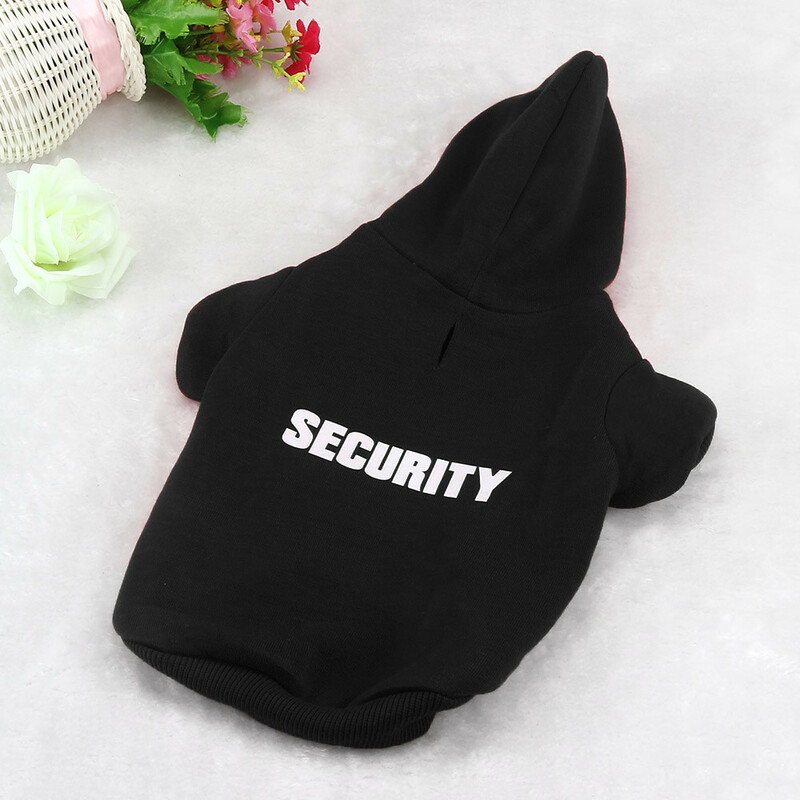 A hilarious and adorable addition to your dog’s wardrobe, this hoodie allows him make a statement without ever barking a word. It’s made from a cotton-polyester blend for an ultra-comfortable fit in any climate—because fashion should never come at a sacrifice. 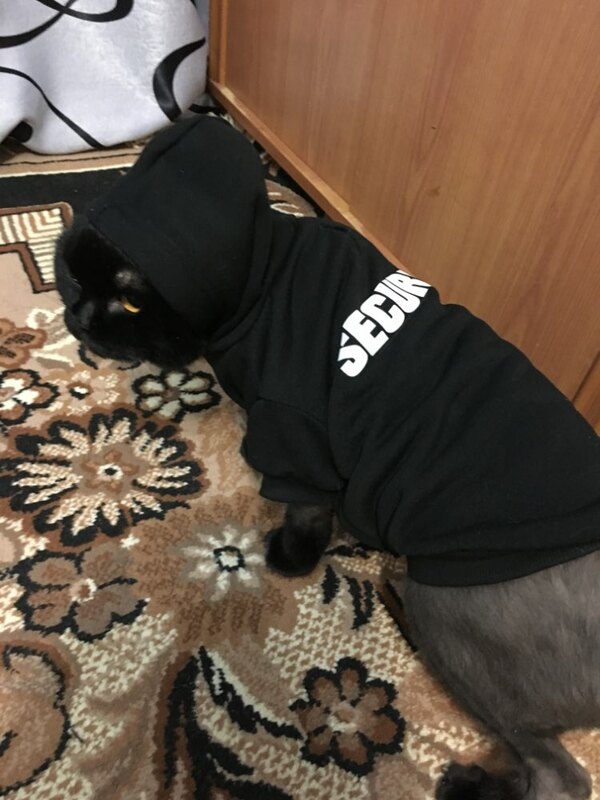 The pull-over design means you can just throw it on and go, with a high-cut belly that prevents bathroom breaks from getting messy. Just get ready for some extra smiles and looks of admiration as you go about your daily walks! Keeps your pal cozy and perfectly cuddly. 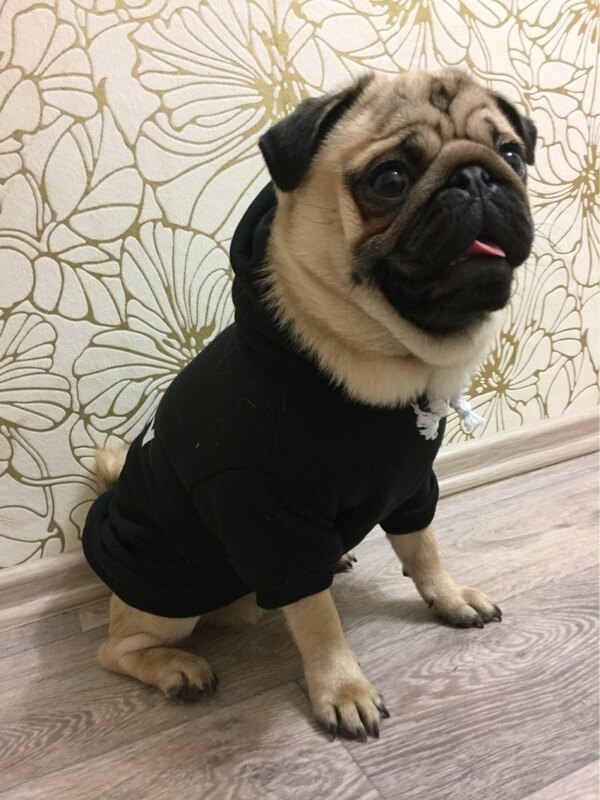 Comfortable, lightweight fit keeps dogs feeling great in all types of weather. 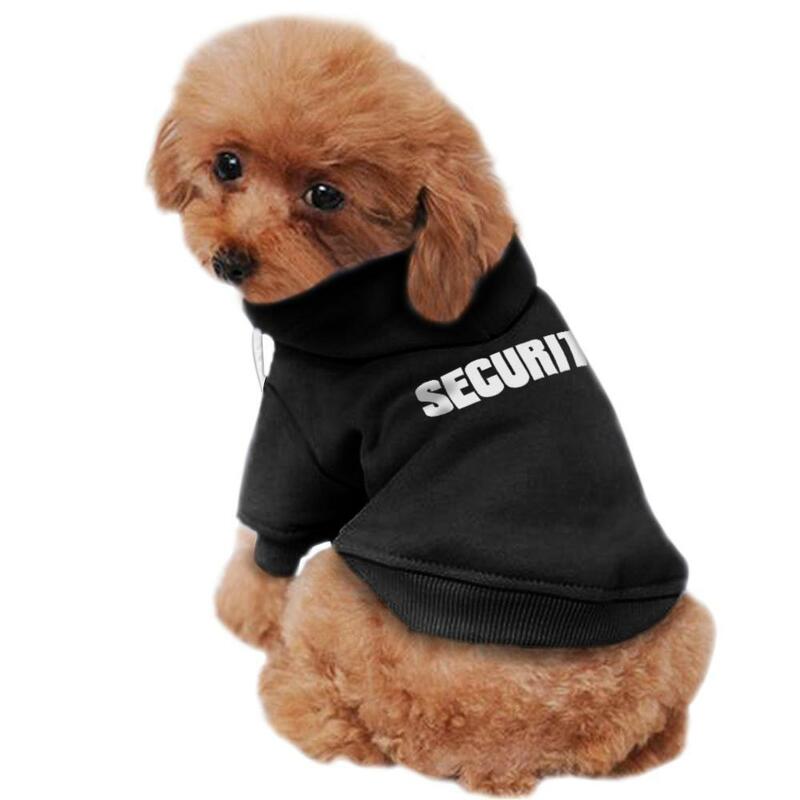 Made from a cotton-polyester blend with the word “security” embroidered on the back. Fashionable. It doesn't skimp on street style with its drawstring hood. 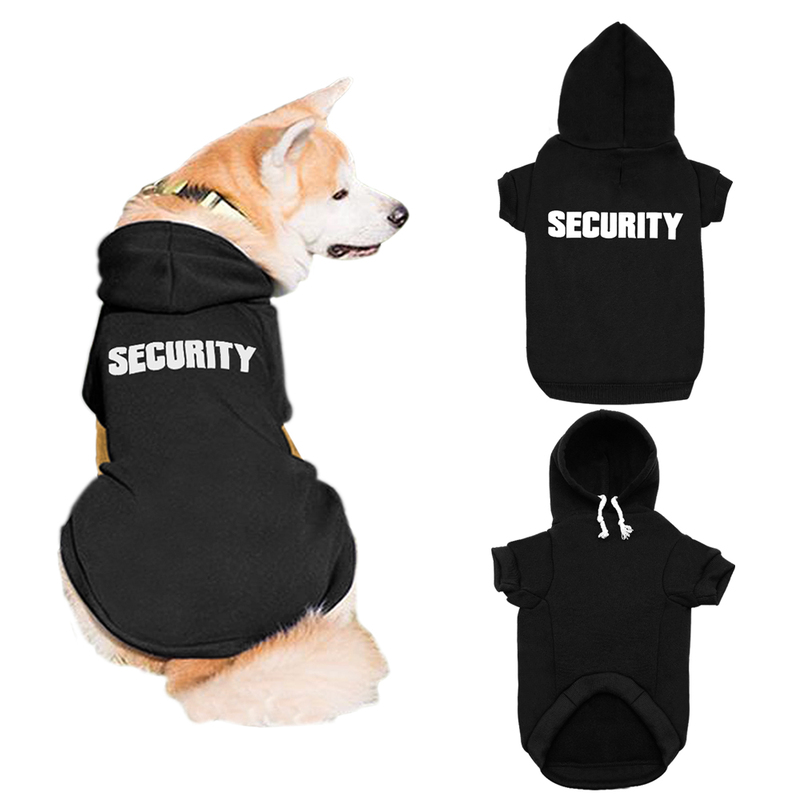 Comes in different sizes to ensure a snug fit for small to medium-sized dogs. Makes a great gift for your fellow dog lovers! Convenient design. Pull-over design makes it easy to put on and take off. 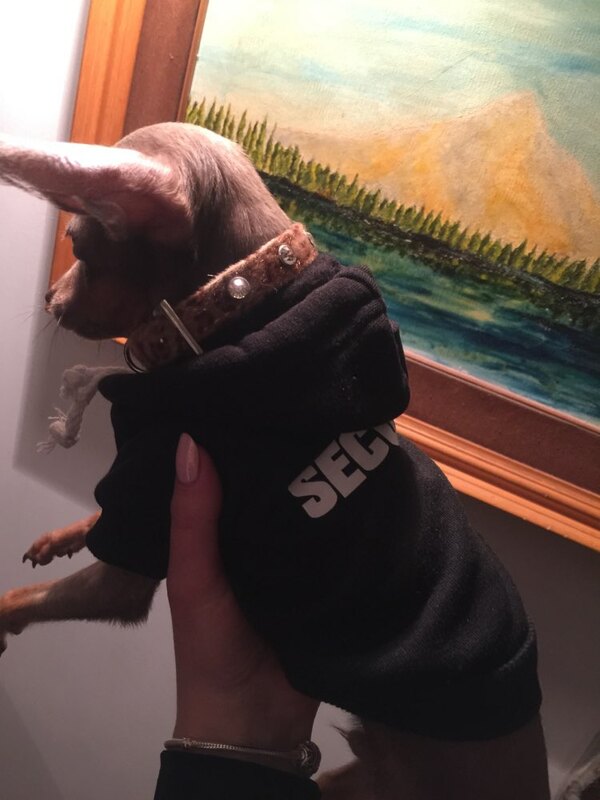 High-cut belly allows for both boy and girl dogs to use the bathroom without getting wet. 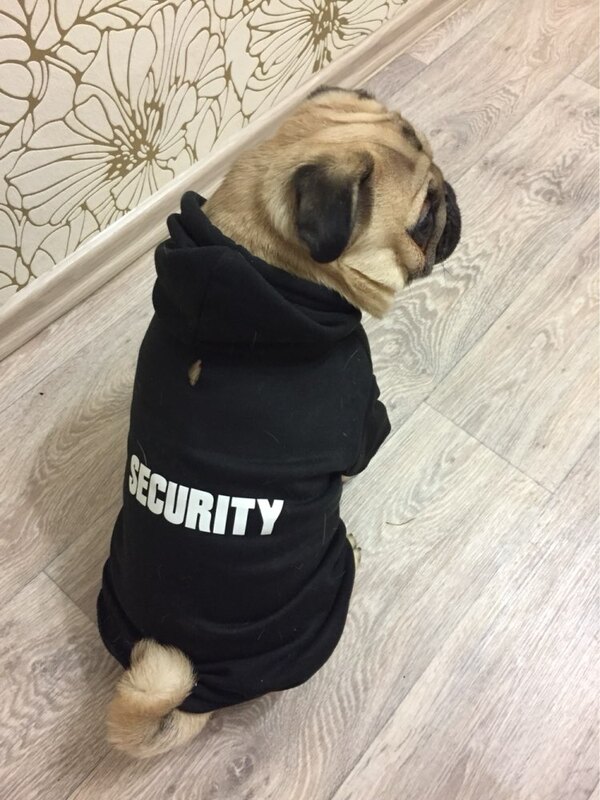 Opening on the back for easy leash access. Features a hole that's perfect for a harness or leash so it's great for on the go. Easy to clean. Machine washable for easy care.